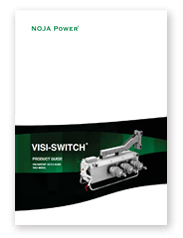 NOJA Power’s VISI-SWITCH® is a solid dielectric load break switch designed for manual isolation in a three-phase electricity distribution grid feeder. Unique to this switch, is the viewing window embedded in the bushings, allowing an operator to see the actual point of isolation. Automatic circuit reclosers are designed for use on overhead distribution lines as well as distribution substation applications for all voltage classes up to 15kV, 27kV and 38kV respectively. 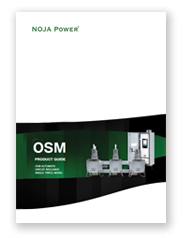 The OSM Single Triple Automatic Circuit Recloser is designed for use in a four wire distribution system, and for other specialty applications for all voltage classes up to 38kV. The OSM Automatic Circuit Recloser and RC10 Controller support a wide range of plug and play accessories. 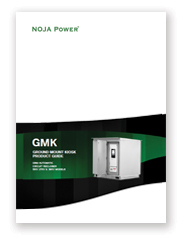 NOJA Power's LV MCC meets the highest standards required for fixed, demountable or fully withdrawable MCCs or switchboards. 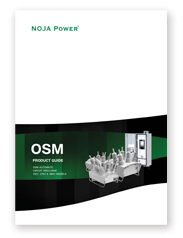 NOJA's LV MCC is a standardised range of low voltage switchboards and MCC's that fully complies with AS 3439.1 1993.